Today’s subject is my great-great-great-grandfather, Peter Staaf. This is my grandmother’s great-grandfather, that is, my mother’s mother’s mother’s mother’s father. Peter was the immigrant ancestor of this line. I found his passenger list on Ancestry.com, which led me to his hometown of Sterbfritz, which is right in the heart of Germany. He left that place and arrived in Baltimore on the sixth of May, 1854, with his wife and daughter, both named Margaret. He settled in Butler County, Western Pennsylvania. The Staaf family line is the only one I’ve been able to trace back to the motherland, several generations prior to the emigration. This was thanks to a great stroke of luck, in the first place, and then the diligent efforts of a professional genealogist who happened to live right in that area. 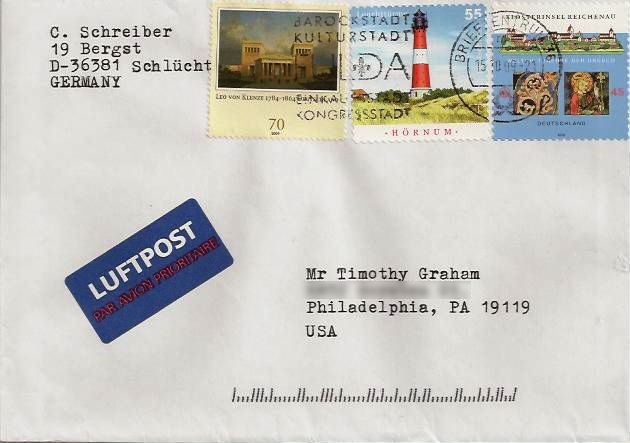 I learned about Mr. Clemens Schreiber in 2009, when I happened upon this web site that provided his contact information. He happened to live in Schlüchtern, which is a drive of mere minutes from Sterbfritz. Mr. Schreiber happened to charge a very reasonable fee: $7.00 for a family group record. At that price, I purchased the whole Staaf line by mail, going back to 1613. Mr. Schreiber told me that the line of Peter’s wife, Margaret Lotz, went back even further, to about 1450, and asked if I was interested in purchasing that as well. I did not have funds to purchase all of that at the time, but I’m glad to know that information is available. I just now discovered though the Googles, in a blog post by one Jilline, of Utah, that Mr. Schreiber suffered some heart problems in 2012 that required surgery. I hope Mr. Scheiber is on the mend. He is a great benefactor genealogists everywhere. Thanks to the work of Mr. Clemens Schreiber, I know that Peter Staaf was born on December 15, 1823 in Niederzell. He married Margarethe Lotz in July 20, 1851. They had three children before coming to America: young Margaretha, Katharina, and Kaspar. Katharina died before her first birthday, and I have never accounted for Kaspar. As far as I can tell, only young Margaretha made the trip to America with her parents. After arriving in America, the Staafs had at least three more children: Bertha, my great-great-grandmother, Caroline, and Mary Anna (Staaf) Reibold, the last of whom I’ve already featured on an earlier episode of 52 Ancestors. Census Records identify Peter variously as a farmer, a hotel keeper, and a merchant. The family’s name appears as Staff the census and on every other official document in America, but they always signed their own names as Staaf, and that is evidently how their name appears in German church books. Modern technology assisted me in locating Peter’s final resting place. Find-A-Grave has a memorial for him that identified his place of burial as Saint Paul’s United Church of Christ, Connoquenessing, Butler, Pennsylvania. He died on June 29th, 1883. I’ve confirmed his death in the Butler Record. His wife, Margaret, followed him in death eleven years later. She died on July 29, 1894, and is buried at the same cemetery. I can not confirm the photos that I believe to be of Peter Staff. I found the photos above mixed in with a bag of various photo that my Great-uncle Bob brought with him when he came to visit us from California. It is a tintype photograph with nothing written on it. Like the picture that I posted for Anne Reibold, I’m going with what I believe to be a sensible guess, absent more conclusive information. The reasoning, simply enough, is that the tintype above seemed to have come in a pair with the tintype that I believe to be of the younger Staaf sisters. Ergo, they might possibly be of the same family. Ergo, they might be the parents of the Staaf girls. Would that hold up in court? No. No it wouldn’t. Is it something for me to go on for the time being? Yes, I think so. Will the real Henry Balmer please stand up? The men in both pictures have been identified, by agents unknown to me, as Henry Balmer, the grandfather of my Great-uncle Bob. However the two men are clearly different people. I find the label on the right to be more reliable. The label on the left was written on a later reproduction by someone who probably never met either man. The label on the right is older, and it is on back of the original image. It correctly identifies baby Maggie Balmer, whom my Great-uncle Joe, who knew her, described as having had Down Syndrome. If the picture on the right is a family picture, as one would expect, then the man in it would certainly be Henry Balmer. 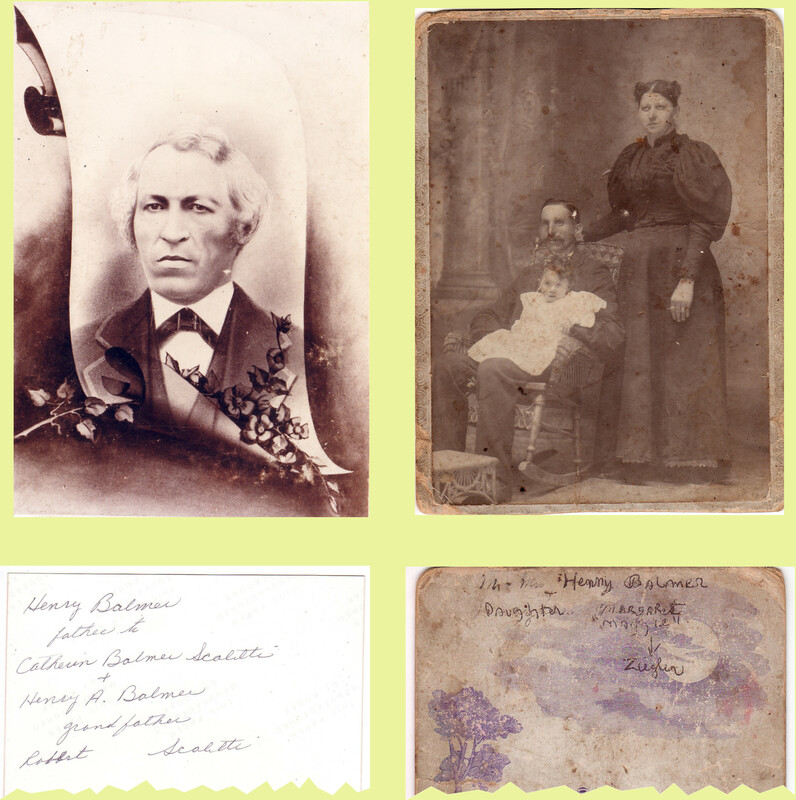 For a closer view of Henry Balmer, see Week 17 of my 52 Ancestors Challenge. If the man in the picture on the right is Henry Balmer, then who is the man in the picture on the left? 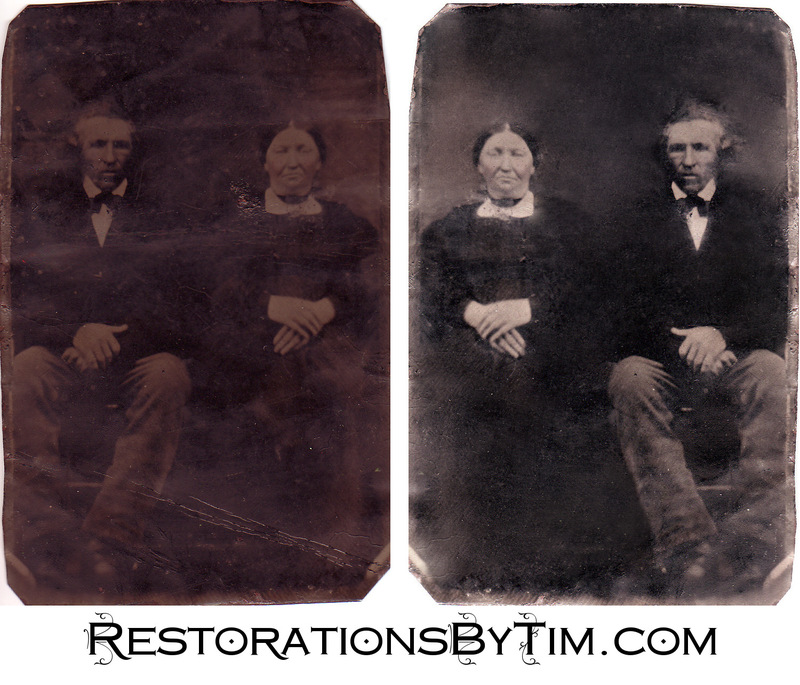 My uncle and I agree, based on their look, and especially their hair style, that the man on the left is probably the same man in the restoration featured at the top of this article. If the tintypes Uncle Bob brought with him are generally of the Staaf family, then the man on the left is probably Peter Staaf. Again, I can not know for sure. I would love to inspect the original version of the picture on the left for helpful labeling. I would love to have better information in general. Notwithstanding, I am somewhat comfortable presenting the man in the featured restoration, as well as the man above at left, as my third great-grandfather, Peter Staff. Special thanks to Great-uncle Bob, as always, for the trove of pictures from which I drew the above. Thanks also to Mr. Clemens Schreiber, and best wishes to him for a complete recovery. Lastly, thanks to my Uncle Ishaq for puzzling through these pictures with me, and for suggesting the resemblance likely Peter Staaf pictures.